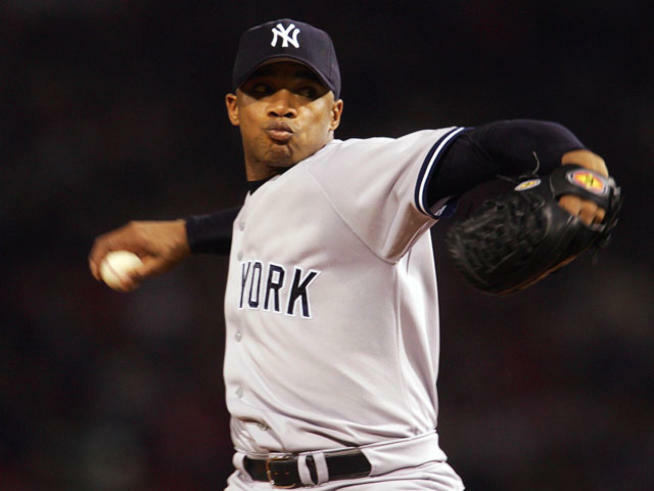 Orlando “El Duque” Hernandez will don the pinstripes again, but this time it won’t be as a player. According to the Associated Press, Hernandez will be in Yankees camp for the next few weeks as a pitching instructor. Hernandez, who is listed as being 48 years old, came to the States back in 1998 shrouded in mystery when he defected from Cuba and signed a professional deal with the Yankees. He made his debut on June 3 of that year against the Devil Rays, and would go on to become a vital cog in the starting rotation; in only 21 starts, he went 12-4 with a 3.13 ERA on perhaps the greatest team of all-time. However, it was his ability to pitch in the postseason that made him a fan favorite. For his postseason career, five appearances with New York and two with the White Sox, Hernandez has a sparkling 9-3 record with a 2.55 ERA. His personality will be a welcome addition in camp this spring, as the Yankees and their pitchers prepare for the marathon that is the baseball season. Take a look back at some of El Duque’s most memorable moments.